At Gunn Auto Service, we're proud to serve the local farming community in Reidsville, Eden, Browns Summit, Ruffin, Stoneville, Madison, Wentworth, and surrounding North Carolina areas. Contact our team today, and we'll help you get the best agricultural tire for your farm equipment. 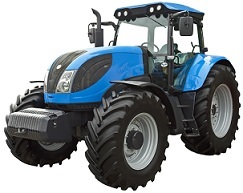 We have a large selection of farm tires for sale at highly competitive prices. Whether you need one replacement tractor tire from a brand you already trust or a set of tires from a new brand you'd like to try, we can help you find what you need.